I am not a good driver….as (1) I don’t like the actual driving, (2) I get sleepy easily, (3) my mind wanders off, (I don’t text when driving and I am safe! 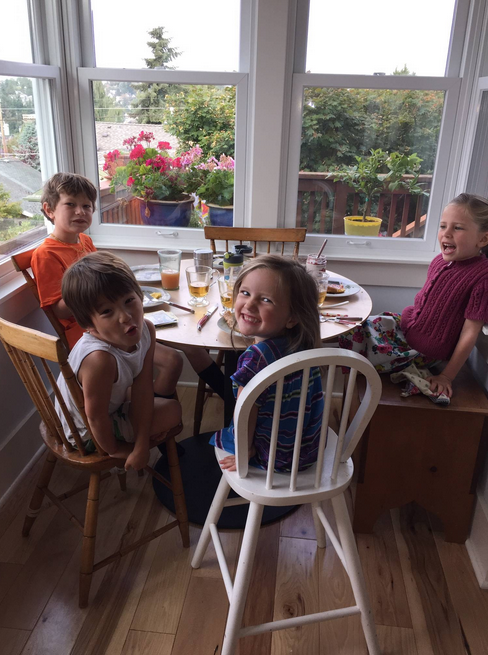 ), and (4) I usually end up driving super slow in the left lane…..but I was more than happy to drive the kids up to Seattle last week to see their cousins before our summer ends. 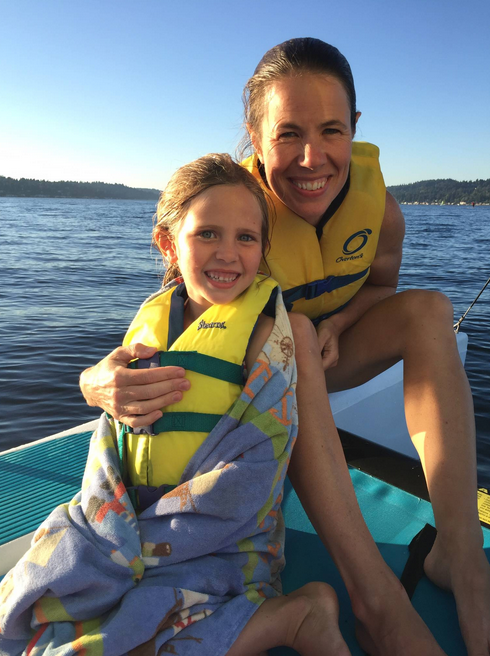 Here are some pictures from our wonderful time together in the Pacific Northwest’s biggest city! 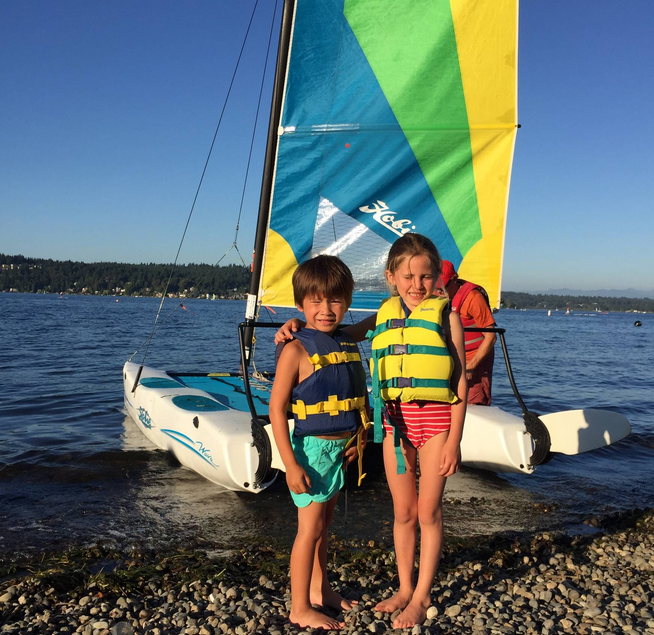 Cruzzie and his cousin, Alagna, sailing at sunset. We had the opportunity to do that 2/3 of the nights we were there. SO FUN and so relaxing. 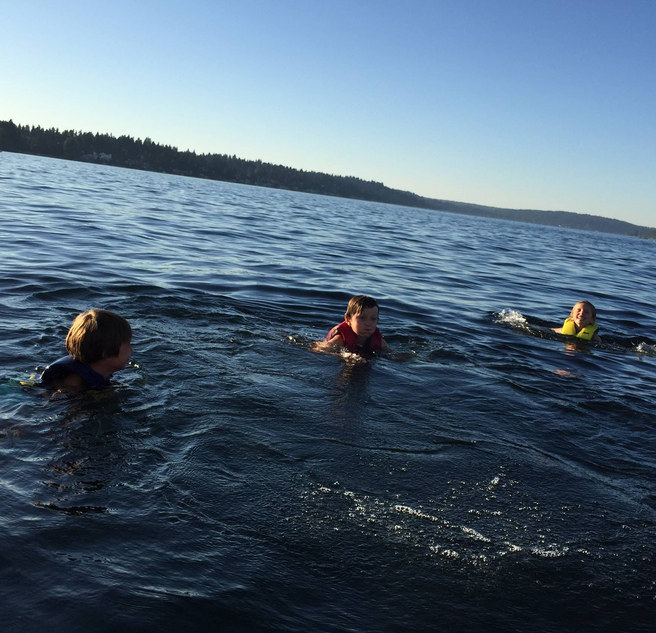 Lake Washington. 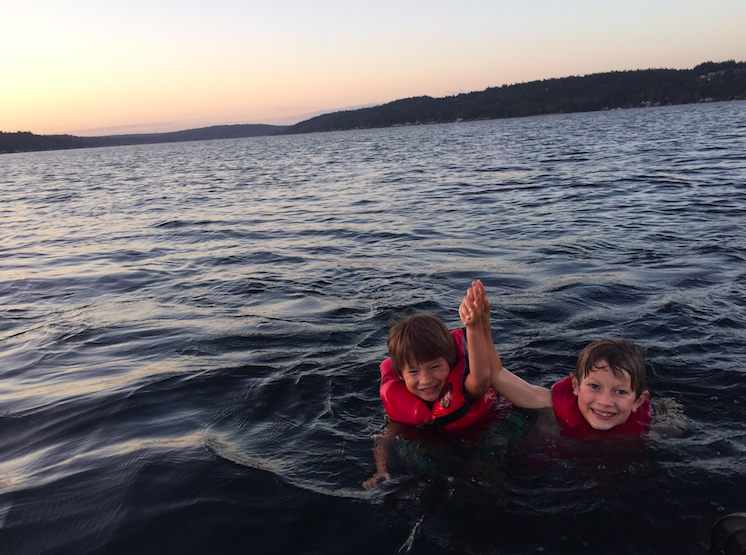 The kids jumped out of the lake to swim. I MEAN, check out the beauty! Those are the kids’ heads bobbing up and down in the water. 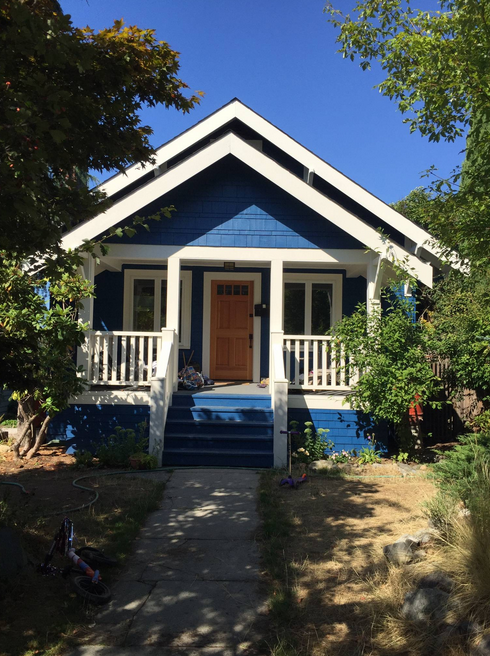 The Little Blue House, the cutest (and not actually little) house. 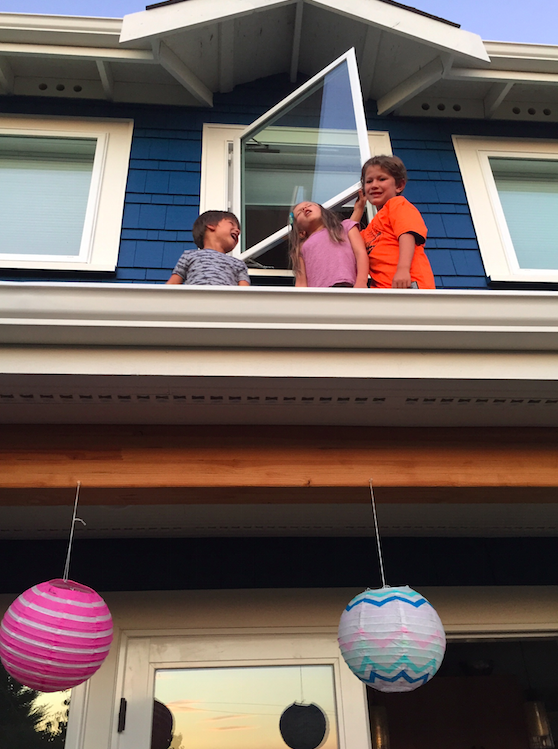 Roof sunset with the cousins. 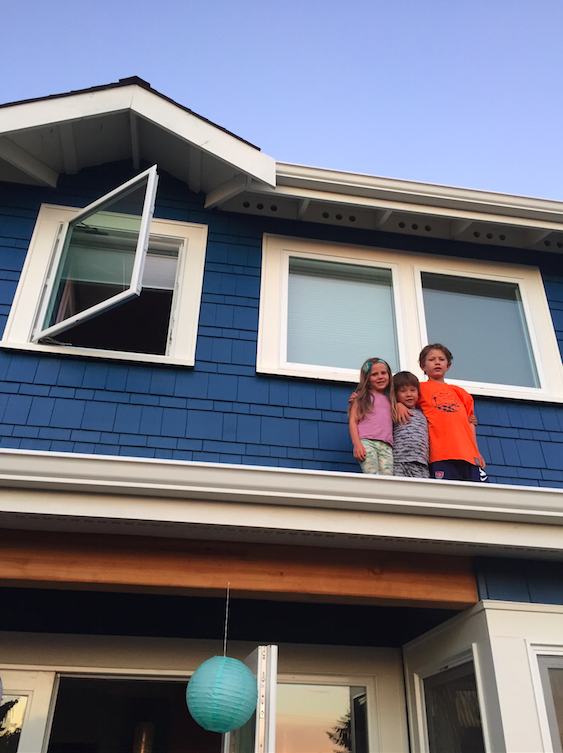 Viewing the sunset from the roof of my brother’s house….and yep, Ken (the cautious one) was not there or this never would not have happened…. Family shot of Alagna, Cruzzie, me, and my brother, Giora. I am so lucky to have the best sister-in-law in the WORLD. Love Katie so much. 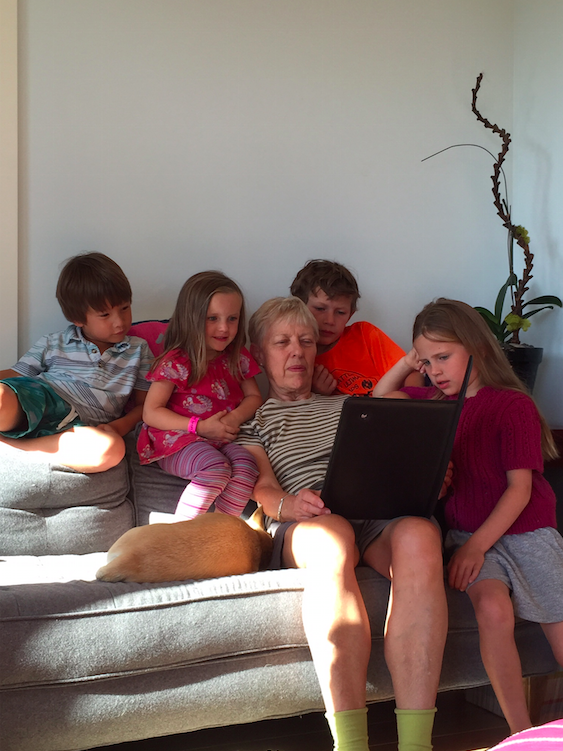 My mom and 4 out of the 5 grandkids watching something on her ipad. 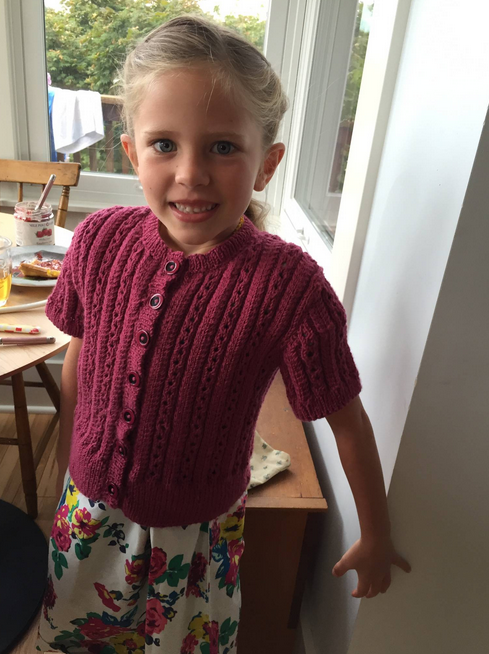 Alagna in a hand-knit sweater by my mom. 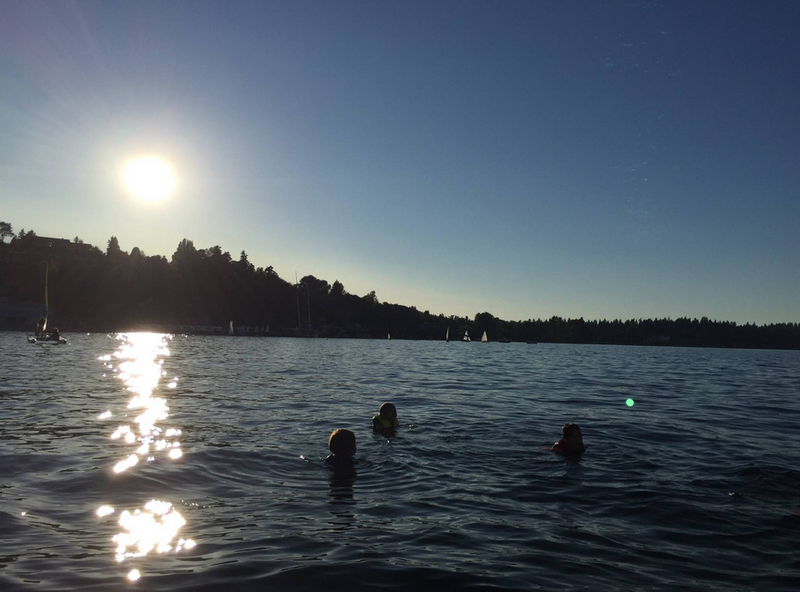 Thank you, Katie, Giora, Axel, Alagna, Nadia, Boudit, and Romeo (the two dogs) for such a great trip to Seattle. We not only love Seattle but you guys SO MUCH. And miss you dearly when not together…. 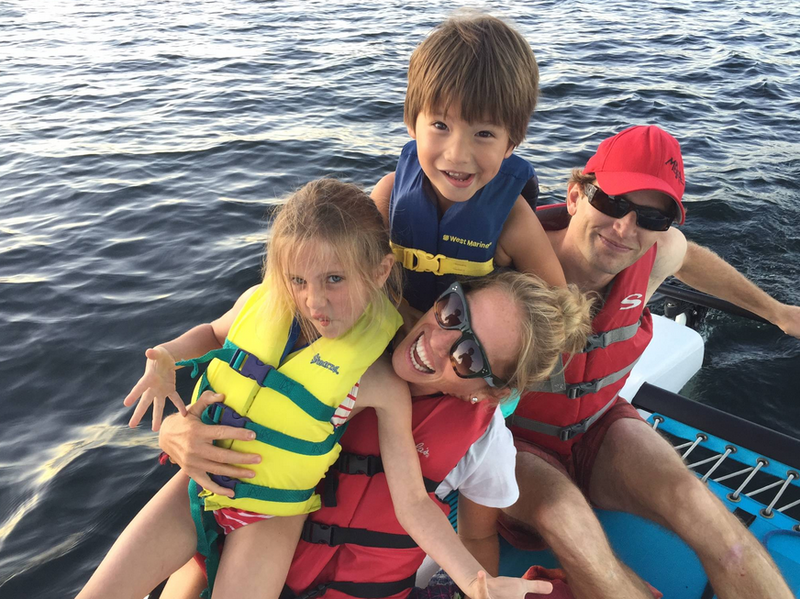 Great pictures..looks like everyone had a great time! BTW- I love that quaint little blue house! So glad you were visiting us in The Emerald City! Such nice, unique names these children have!